The Bangladesh Homeopathic Board was established on 1972 at Dhaka as an autonomous institution under the ministry of heath and family welfare .Government of Bangladesh to be a model academic institute of homeopathy in the country. The Bangladesh Homeopathy Board (BHB) has been thriving for excellence in Homeopathic education, outstanding patient care and research activity. BHB imparts both BHMS (Bachelor of Homeopathic Medicine and Surgery) and DHMS (Diploma of Homeopathic Medicine and Surgery). Now a days BHB maintaining only DHMS course by 38 recognized Homeopathic Medical College (Diploma) all over the country. BHB also regularly arranges Seminar, Meeting, Publicities, Training program for Homeopaths. There are BHMS (Bachelor of Homeopathic Medicine and Surgery) degree also given from University of Dhaka under Government Homeopathic Medical College and Hospital and Bangladesh Homeopathic Medical College and Hospital. 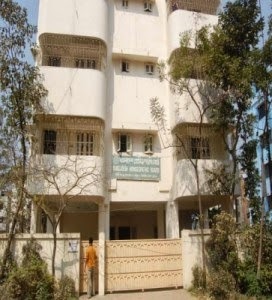 Bangladesh Homeopathic Board situated at Nikunja -2, Khilkhet, Dhaka , Bangladesh.